Hey everyone. Today I’ve put together a guide to the popular Seiko NH35 movement. This movement is typically found in many affordable watches from brands like Invicta, Seiko, Vostok, LumTec, Spinnaker Hull, and Minus-8. Why is the NH35A such a popular movement? The NH35 is effectively an unbranded version of the Seiko caliber 4R36 movement, a watch movement I’ve reviewed in the past. 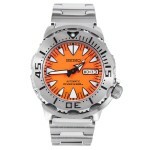 The 4R36 is found in the next generation Orange Monster, Seiko Turtle, and many watches from the SAR collection. 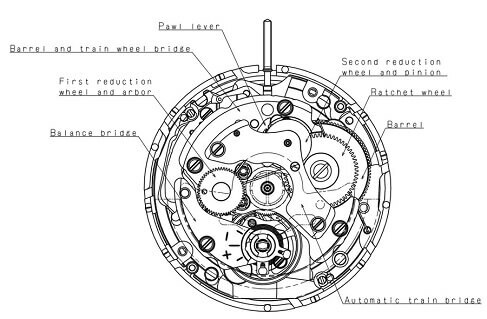 The Seiko NH35 movement is hand-windable and features a hacking function. A hacking function means the second hand stops when the crown is pulled out. This Seiko NH35A movement is known to be a reliable and fairly accurate automatic movement which is why it has become one of the most popular automatic movements for many affordable watch brands. Seiko are known for being one of the best watch brands under £500. 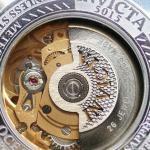 Most notably is Invicta, who features the Seiko NH35A movement in a large range of their automatic watches, you’ll find many cool watches for teens manufactured by this brand. Note that you shouldn’t set the date between the 9:00 PM and 4:00 AM time on the watch, this is because it can cause a malfunction on the timepiece. To fully wind up the watch turn the crown a minimum of 55 times (Be careful not to overwind your watch as this can damage the movement, if you feel resistance stop rotating the crown). You can fully wind up the movement by turning the ratchet wheel screw 8 times. I’d love to hear what your experience with the Seiko NH35A movement has been like. Comment below letting me know what watch you have that features in and how accurate you’ve found it to be. Hi! Great source of info on the NH35A. 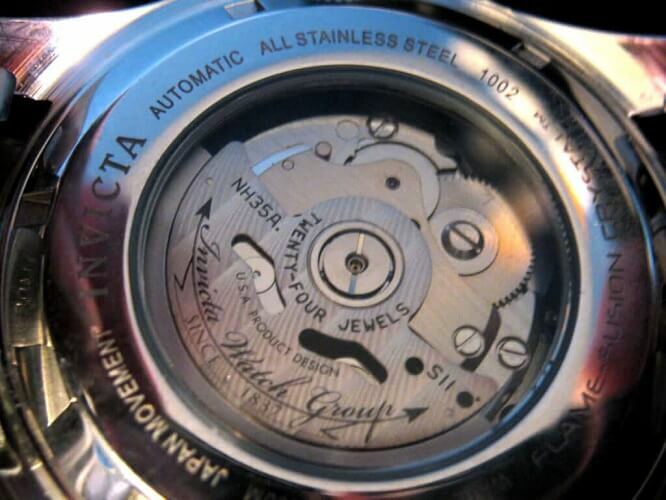 I’ve recently bought an Invicta 8926OB that uses this movement. Works great. And I’ve corroborated that mine is 2.5s to 3.5s slower every 24hs when using it regularly on my wrist and 4.8s to 7.5s when keeping it that day in my watch box. But last night I removed its NATO strap (yes, I’ve gone Bond with it) and left it standing on its head (i.e. standing on the 12) ans today it’s almost 18 seconds slower! Wow! I’m wondering, then, if this is normal for this movement in this position or if I might start to believe mine is out of whack! Also, what position others find make the NH35A run faster. That way I can auto-regulate it. Thanks, again! The Seiko NH35A movement is fairly reliable. Only 1 minute late daily which is not bad. The NH35A is a brilliant movement. Could you show examples of more watches that feature it?